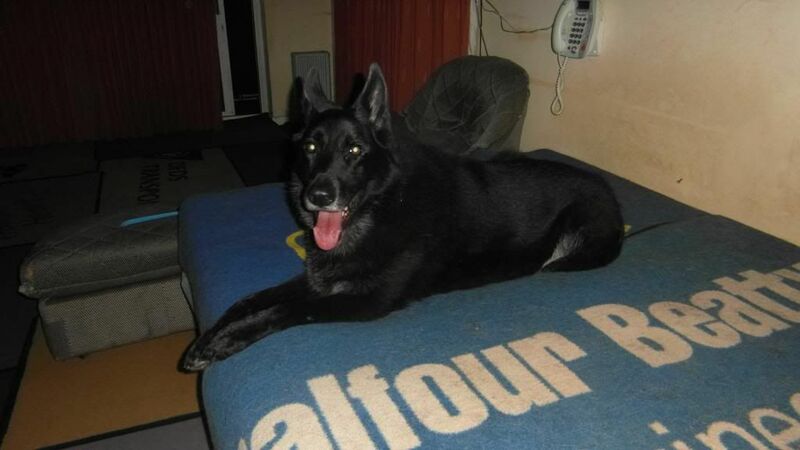 Bear wasn't doing too well in kennels so has gone into foster with John. 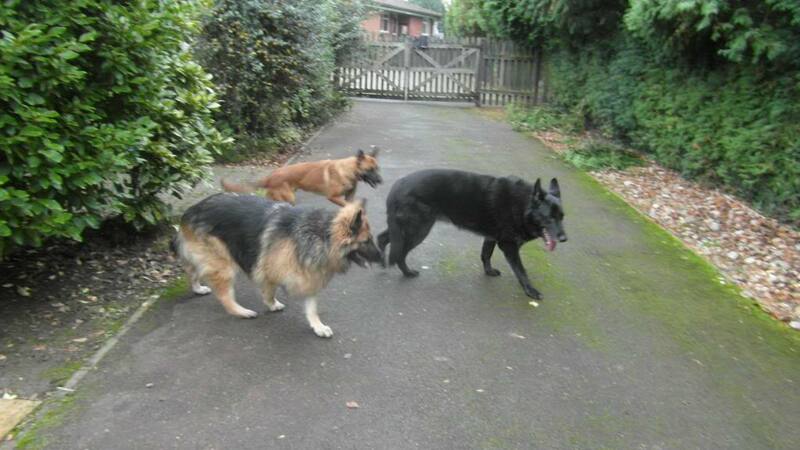 Bear has been making friends with Cloe and Rex 2 other Vigil dogs looking for their new homes. Here they all are at my gate welcolming Natalie who called in after the Chertsey Meads walk. Natalie came inside and took a lot more pics and some video footage. I met Bear today and he seemed like a lost soul, very quiet in comparison of the other dogs Rex and Chloe who loved playing together. 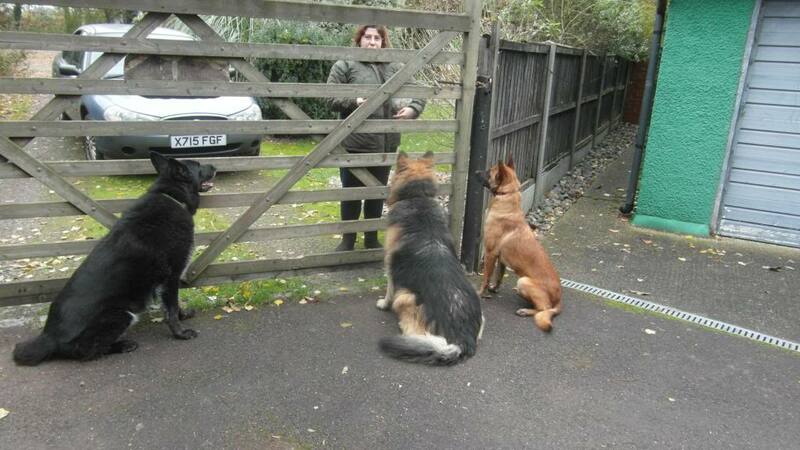 After introduction through the gate, I went to meet the dogs and they came towards me to get a stroke. Rex and Chloe loved the tuna cake but Bear was not interested, he was not hungry again today. We played with balls and he was interested to join in and run after the ball so hopefully will be hungry tonight after the exercise! He seems like a sweet boy who is really bewildered of losing his home. It is fantastic for John to have him back. He was really obedient to John, coming when being called and sitting when asked (see the video below). He was very friendly with me and just wanted to get a cuddle. I feel very priviledged to have met these 3 lovely dogs. If you feel you could give this lovely boy his forever home please call John 01932 571268.